While the World Cup is set to start on June 12, not all Brazilians are excited about the tournament taking place in their country. 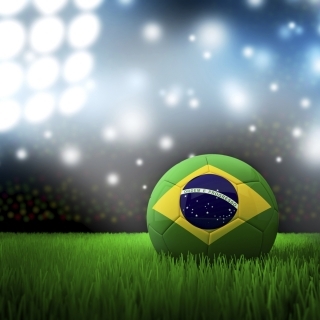 In this list of experts, you will find people who can comment on different topics in relation with the World Cup being held in Brazil (social tensions, politics, poverty, etc. ), but also a list of researchers who have conducted work (or still are) in Brazil. Expertise: Latin American politics, corruption and development, social tensions in Brazil ahead of the World Cup. Expertise: Latin American politics, civil society and the resolution of contemporary problems, social tensions in Brazil ahead of the World Cup, political and economic situation in Brazil. Expertise: Organizational behavior, economic situation in Brazil. He also has been active in the Brazil Overseas Summer Program. Expertise: Urban and regional economic development, economic impact of the tournament. Expertise: Notion of tiered citizenship, the effect of nation-building projects such as the World Cup or Olympics on marginal populations, the growing physical segregation between the rich and poor in the South. Expertise: Dengue fever risk, epidemic risk during the World Cup, Infectious diseases. Experience: Coach of the women’s team for 15 seasons before moving to the men’s team (2014). Canadian Interuniversity Sport coach of the year in 2009. He holds a master’s degree in sports psychology from McGill University. Prior to McGill, Mounicot played with the Montreal Supra of the American Professional Soccer League in 1987. Research interests: Brazilian electricity system. The outcomes (win or loss) of football games in Brazil and extreme situations operators have to handle. Research interests: How to musically play a computer. His main goal is the design of novel musical instruments using computers and electronics. He works in collaboration with colleagues at the University of Sao Paulo and other Brazilian universities. Research interests: Global food security and sustainability. His research program aims to understand the interactions between agricultural land use and global environmental change, and to seek solutions to improve global food security while lowering the global environmental cost of agriculture. He has ongoing research on the Amazon and Latin America. Research interests: Animal biotechnology. His research program is mainly focused on investigating cellular and epigenetic reprogramming in embryos, produced from somatic cell nuclei, and the application of genome editing, RNAi and somatic cell nuclear transfer technologies to generate cloned swine models for biomedical research. He has ongoing collaborations with different groups and universities in Brazil. Research interests: Strategic mine planning optimization with uncertainty. He works in collaboration with different Brazilian universities and with the Brazilian mining company VALE. Research interest: The Church and Catholicism in Brazil. Research interests: Brazilian literature during the period of censorship (1960s and 1970s). He is now looking into early modern voyages of exploration and early reports about Brazil by European discoverers, settlers and missionaries (1500-1650). He also has expertise on 20th-century Brazilian fiction. Research interests: Development of post-harvest or post-production processes and technologies for drying and storing food crops, and for adding value to plant residues. He worked in collaboration with experts from different Brazilian universities.